Go to OpenCart admin Panel >PurpleTreeMultivendor>Setting >Allow Tawk.to Live Chat Select Yes. 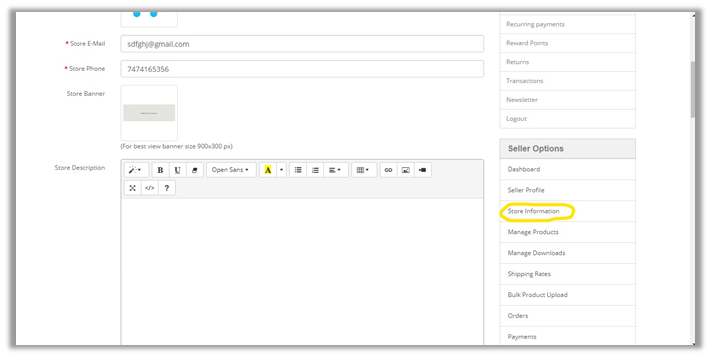 This can also be done by seller from Seller Dashboard.Go to PurpleTreeMultivendor> Manage Stores > Click on Edit Store button. Click On “Live Chat” Tab on Right Side Corner. Choose Allow Tawk.to Live Chat to “Yes” and save the settings. Then create account on tawk.to. Go to tawk.to admin and go to the Script Code from Widget Code Textbox. 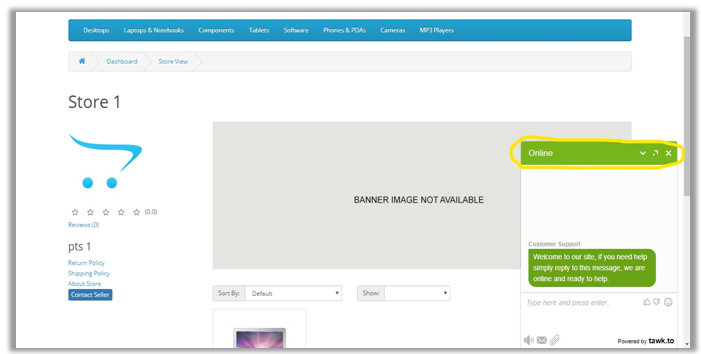 Now You Can See the Live Chat Popup on Product Page and Seller Page. 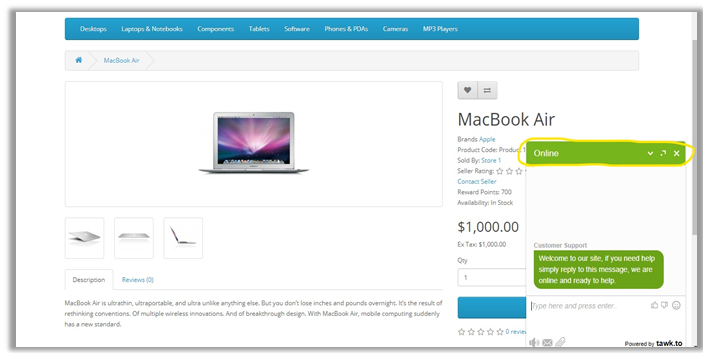 Login to Seller Panel. Find seller options In Seller Options Click on “Store Information”. 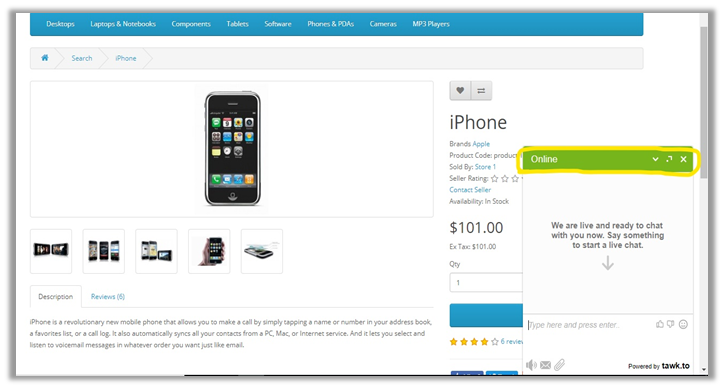 Now you can see the Live Chat Popup in Right Side Corner on Product and Store page for the seller.